Google has been the leading name in a lot of things over the past several years, but their latest design guidelines – the Google Material Design Guide – is really something special. It is a product of years of research and showcases the best user interface elements that will bring the best experience to your users. Whether you are designing an app or you simply want to make your personal site better, here are some of the best ways to make use of Google’s Material Design Guide. I love how Google defines the best colours to use in its Material Design Guide. This isn’t something that was dreamed up overnight; the colours that Google included in its design guide is the product of extensive research over the course of several years. The result is simply stunning! A few years ago, shocking colours and shades work. Today, however, users prefer calmer, flatter colours that are easy to the eyes. In order to offer your users the best experience, you can use the design guidelines from Google when selecting several colours to incorporate into your website design. 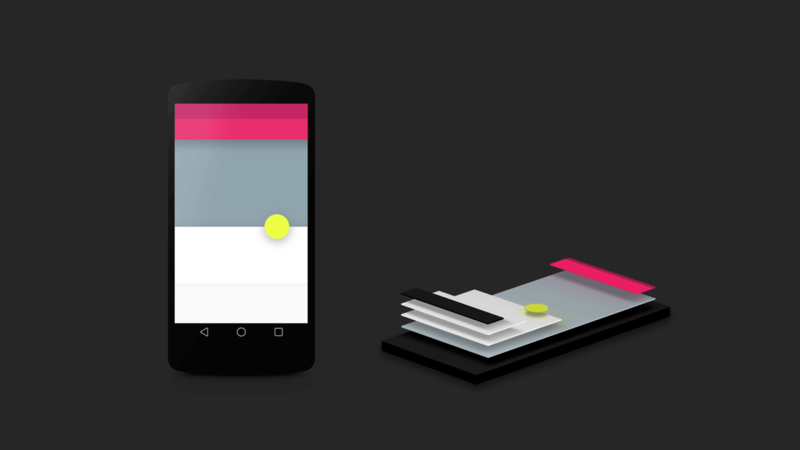 The best thing about Google Material Design Guide is its practicality. Everything in the design guide is ready for use. When it comes to a colour scheme, the best approach is to select two or three colours to use and stick to them. You can create a much more pleasant, much more consistent user experience this way. You will find colour swatches, complete with their respective CSS codes or HEX notation, on the design guidelines. Material opacity and other design elements are also there for you to utilize. The result is evident: colours that can be as bold but still pleases the eyes, especially when viewed on screen. Take a look at web design trends of 2015 and you will quickly see how websites are getting simpler. People no longer use large animations or patterned background images unless they are functional. The same design approach can also be seen in the Google Material Design Guidelines. Functionality is the key focus of the design guidelines, so everything needs to be practical and functional. When an element is placed on the page or interface, it needs to be bold and obvious; so much so that users instantly know what they are for and how to interact with the element. You can save a lot of time and money trying to figure things out and use the Material Design Guidelines to help you get started. Since Google’s design language is something that millions of users are already familiar with, you can have a very functional website or app in no time by following the same principles. Of course, a website is only as good as its contents. Focusing on how your quality articles and other contents are displayed is still a primary thing to do. When it comes to typography, the trend is to use larger text for headings and a highly readable font for the entire site. Readability is another focus of the Google Material Design Guidelines that you can benefit from. The Typography section of the guidelines showcases a lot of web-friendly fonts that you can use out of the box. It also shows how these fonts can be configured and embedded onto your web pages, complete with practical application guides and CSS codes. Roboto is still the main font Google leans on, but there are now thousands of web fonts on the Google Fonts repository that you can choose from. The Styles section of the guide features more than just typography too. Icons, imagery and even writing style are featured there too. The later helps you write articles and copies that appeal to users. Instead of saying “My Account”, for example, it is much better to say “Your Account”. All of the design elements you use – along with the primary content of your page – must be displayed in such a way for users to feel comfortable using them. 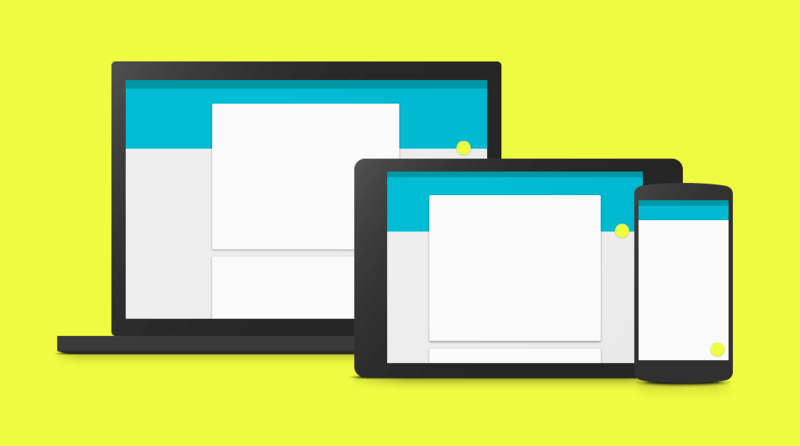 The way a user interface needs to be structured is discussed in details within the Google Material Design Guidelines. The structure and layout can be a good starting point for creating a whole range of user interfaces, from simple personal blogs to apps with advanced features. That’s how extensive the design guidelines from Google. Everything from animations to button placement are discussed in details. All you have to do is use the information to your advantage. Google also offers a lot of resources for designers, including layout templates and icons. All of these resources are available for free. The official Material Design Spec gets updated regularly also. All you have to do to get started is visit the Google Material Design Guidelines here.